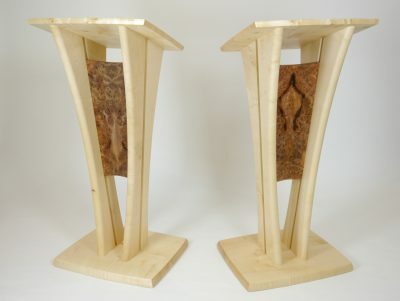 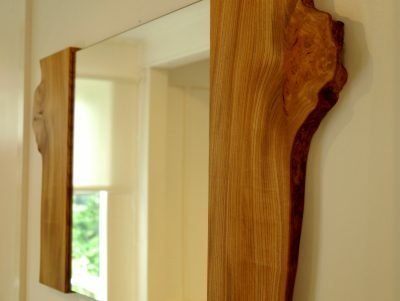 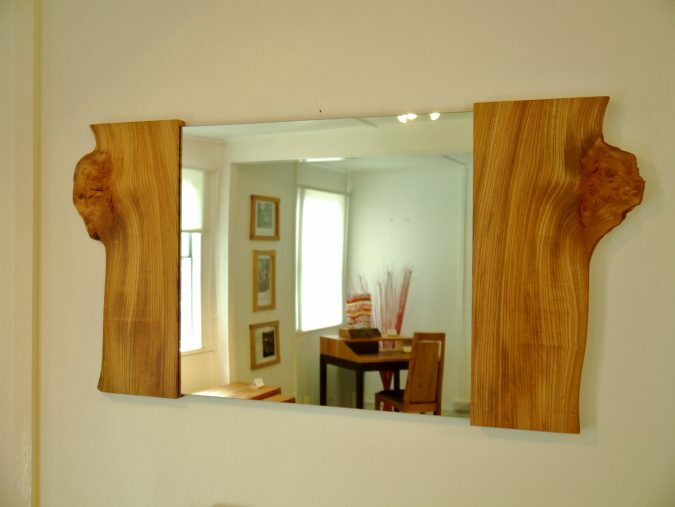 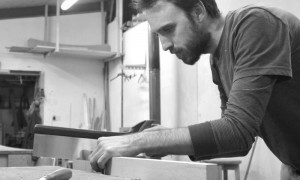 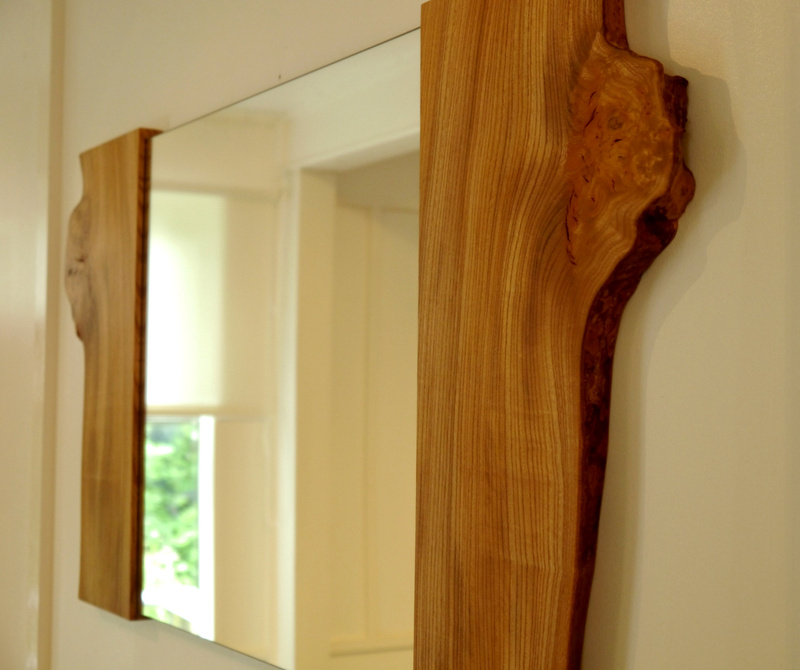 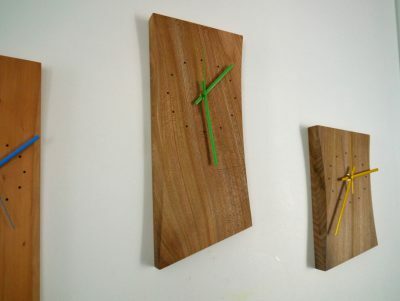 I choose interesting pieces of wood to make these mirrors, often from Elm, Oak or Sycamore. 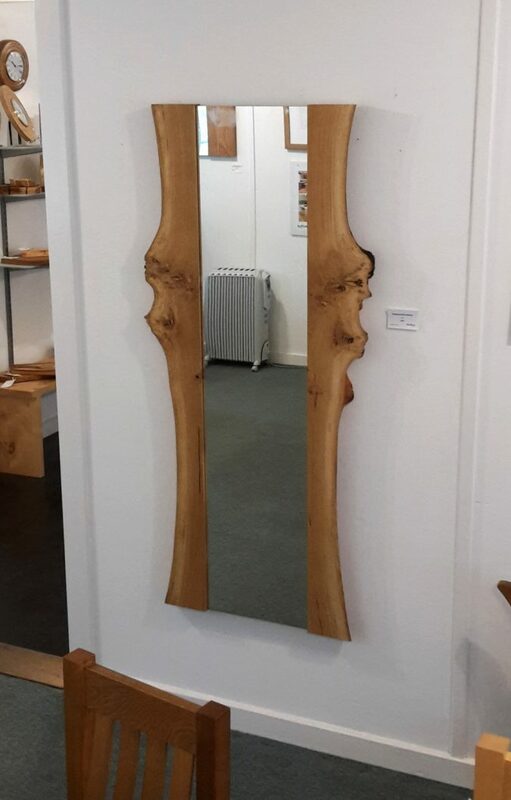 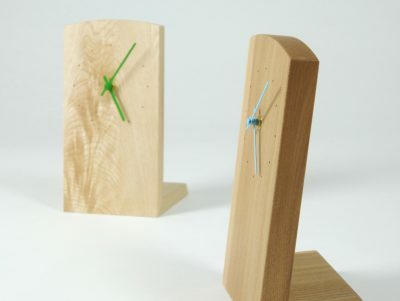 By slicing a section of wood in two and opening it out you get what is called ‘book-matched’ boards with this lovely mirroring of shape and character. 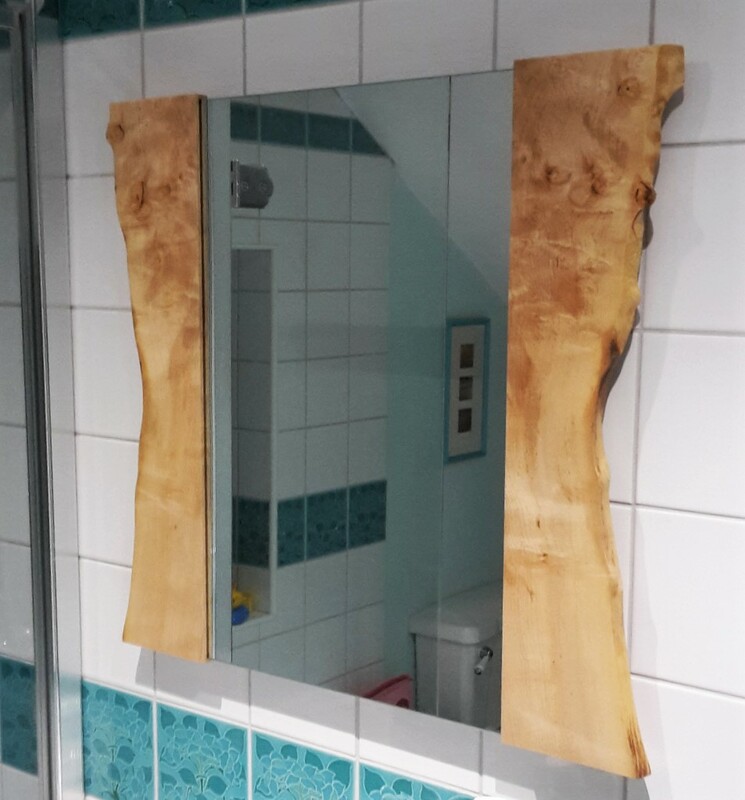 These mirrors can be made to order.